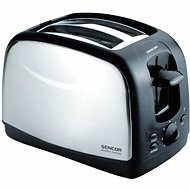 Elegant, 2-slice toaster in a stainless steel finish with auto-off function and continuous power control. An indicator light signals when the appliance is in use. 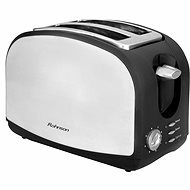 A reheat and thaw function and a practical drawer for easy maintenance are included as well. 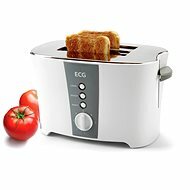 Regulation toasting, Reheat function, Instant shut-off button, Thawing, Automatic safety shutdown, Light signalisation Done! For shipping to other EU countries visit this page ECG ST 968. Für Versand nach Deutschland, besuchen Sie bitte ECG-ST 968. Chcete doručit zboží do Česka? Prohlédněte si ECG ST 968 . Chcete doručiť tovar na Slovensko? Prezrite si ECG ST 968. Für Versand nach Österreich, besuchen Sie bitte ECG-ST 968. Magyarországra történő kiszállításért tekintse meg ezt a termékoldalt: ECG ST 968.